Entertainment Alliance provides Murder Mysteries Comedy Dinner Shows. 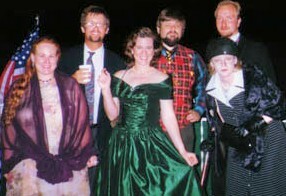 The Murder Mystery show can be customized for any type of corporate or private event. The Comedy Killers features professional performers that not only have impressive training and resumes, but are also skilled and trained in the unique medium of interactive improvisational theater. Each show has a strong audience-tested script base to guarantee quality entertainment, and then a varied degree of customization and improvisation that is unique to each audience to create an enriching, fun and enjoyable experience with every performance. The guests are finding clues during the cocktail and dinner hours, then suddenly one of them is found dead….MURDERED!!! Enter “Inspector Clouseau,” the hilarious, bumbling supersleuth who locks the doors and within 45 minutes manages to interrogate the “suspects”, shoot himself in the groin and finally discover the “murderer’s” identity. 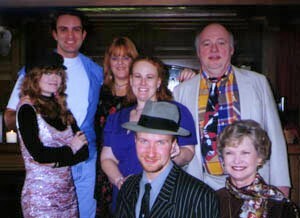 Murder Mystery, comedy, shows, dinner, luncheons, Entertainment, Alliance, Comedy Killers, BO Gerard, INSPECTOR CLOUSEAU, SHOW, Texas, DFW Cedar Hill, TX, Coppell, Dallas, Denton, Highland Village, Addison, Allen, Arlington, Bedford, Canton, Carrollton, Colleyville, Corinth, Dennison, Desoto, DFW, Duncanville, Euless, Farmers Branch, Farmersville, Flower Mound, Fort Worth, Frisco, Garland, Glen Heights, Grand Prairie, Grapevine, Greenville, Heath, Highland Park, Hurst, Irving, Kaufman, Keller, Lake, Lancaster, Las Colinas, Lewisville, Little Elm, Mansfield, McKinney, Mesquite, Murphy, North Richland Hills, Paris, Plano, Princeton, Richardson, Roanoke, Rockwall, Rowlett, Sachse, TX, Sherman, Southlake, Terrell, The Colony, Trophy Club, Tyler, University Park, Waco.x Waxahachie, Westlake, Wylie.